You can say a blog is your own world. I love that about my blog. It’s all ME. With that being said, HAPPY October!!!!! I AM so excited that we can now welcome the holidays. Halloween, Turkey day & Christmas can now make its way to our homes. How you all know that I am Christmas crazy, I kind of already want to start decorating. Crazy much? I decided to just try to get through Halloween and Turkey day first. Of course that means I already have Halloween decorations up on my work desk & I can’t stop staring at them. They make me happy. The most exciting part about this month is HALLOWEEN TOWN. The best Halloween movie ever. Yes I am a Disney kid at heart & always will be. You’d think at the age of 26 I’d stop watching it but, nope, I won’t stop. Halloween town is the cutest Disney movie ever and they play it a million times every year. It’s so perfect for Halloween! Its fall and fall calls for COMFORT FOOD! 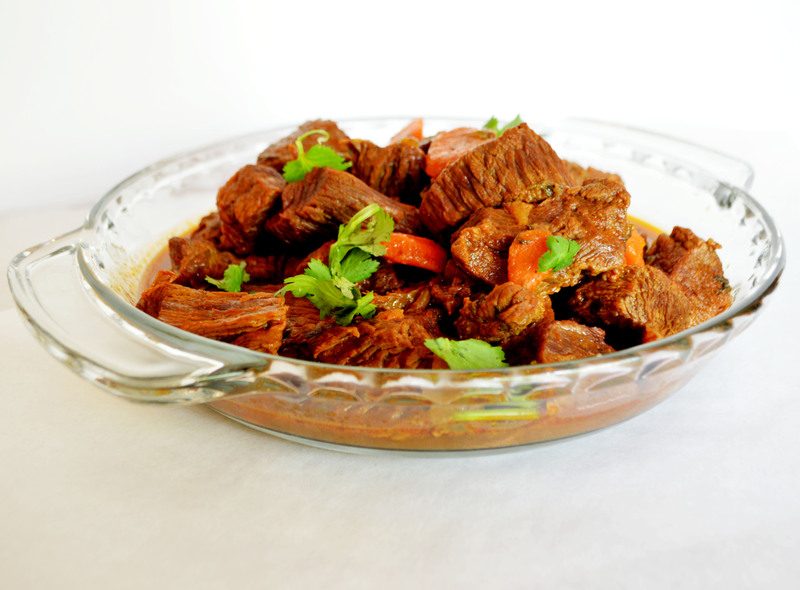 Carne Guisada is a very famous dish in my house hold. 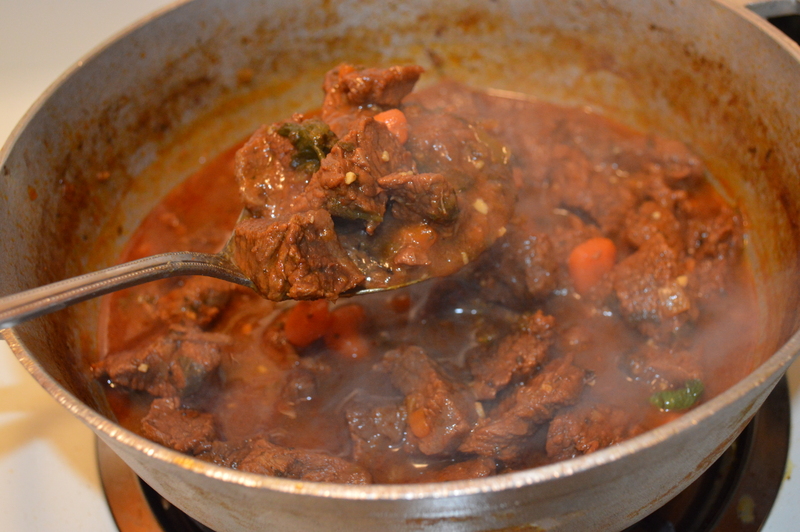 It goes with a side of white rice, red beans, sweet plantains and salad. Okay maybe that’s just the way I like it! 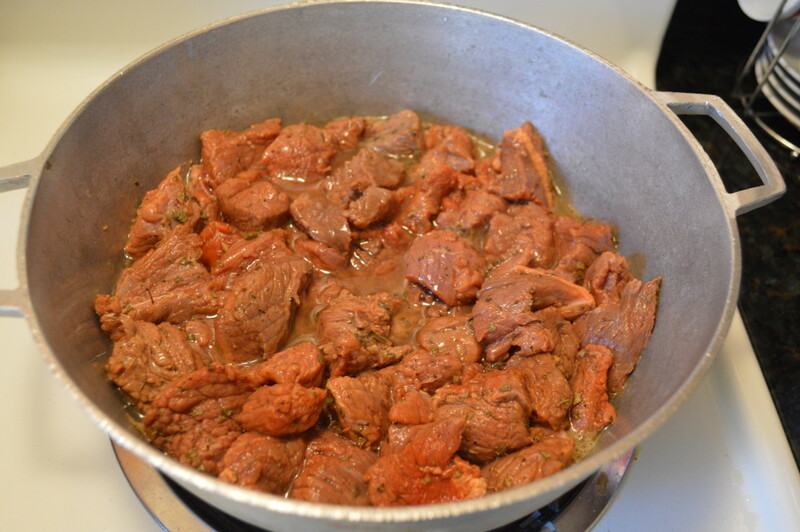 Hehe.Carne Guisada, in translation, is beef stew. I suggest you take your time cooking this amazing dish so that it is pulled apartable (which is not a word) when you eat it. The art in this dish is making the meat as soft as possible. It’s juicy. Really Juicy. I love it! 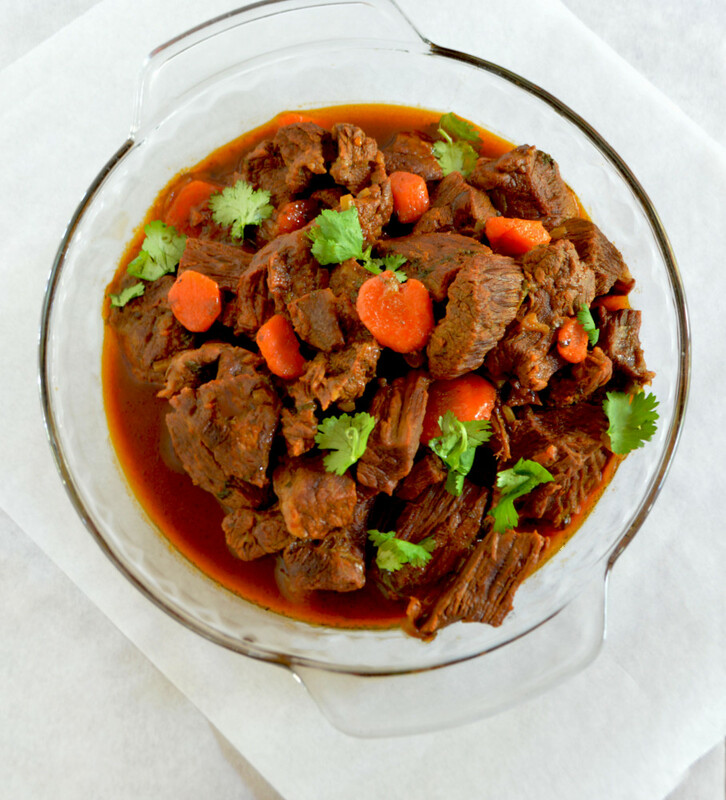 You’ll definitely love this easy Carne Guisada (beef stew) Recipe. 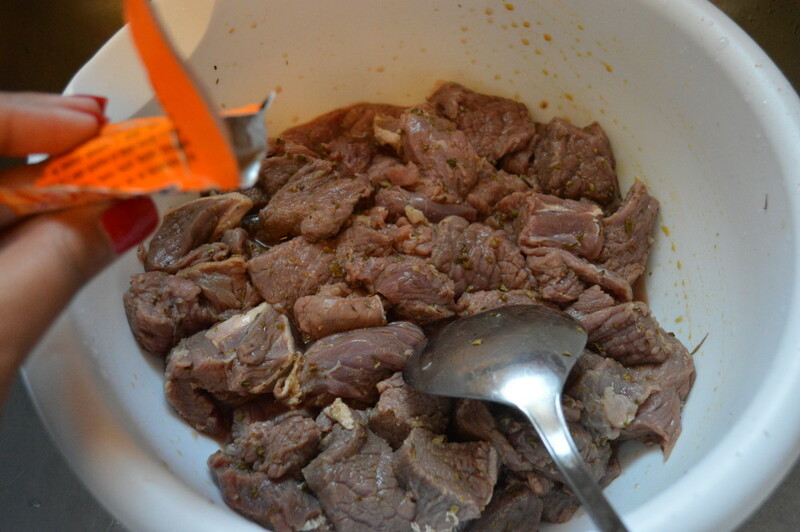 Place the meat in a bowl. Wash with water. 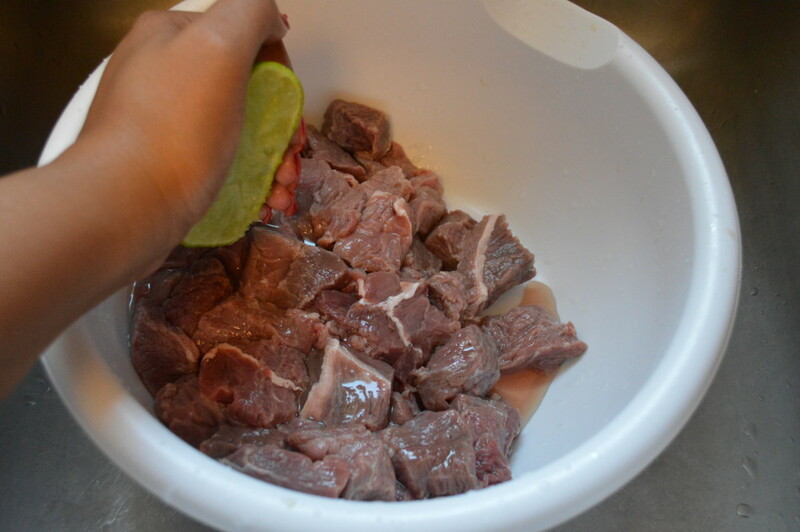 Now, add lime to the meat, make sure to rub the meat really good to clean the meat. ( I personally don’t like to see or smell the blood. 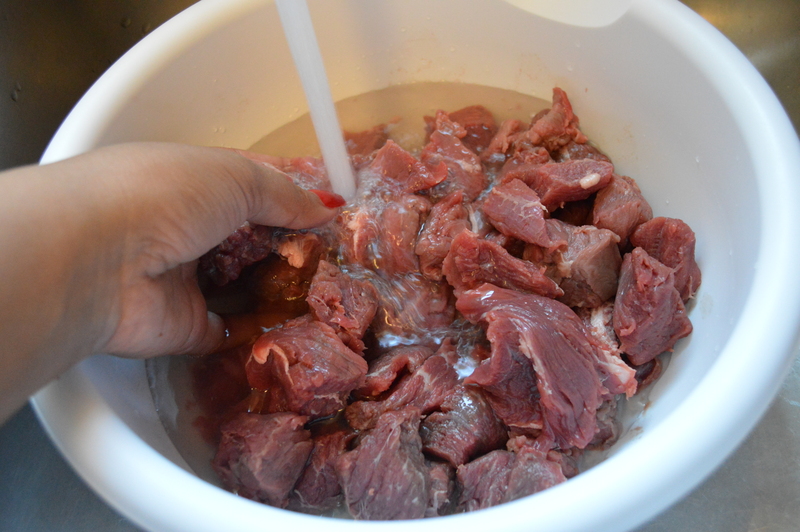 If you like the blood skip this part) rinse the meat once again with water. 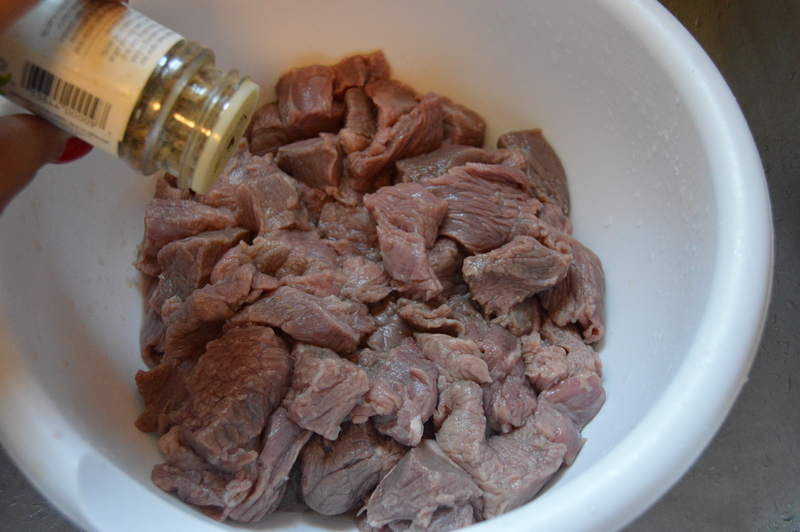 Cut the meat chunks in to smaller meat chunks. 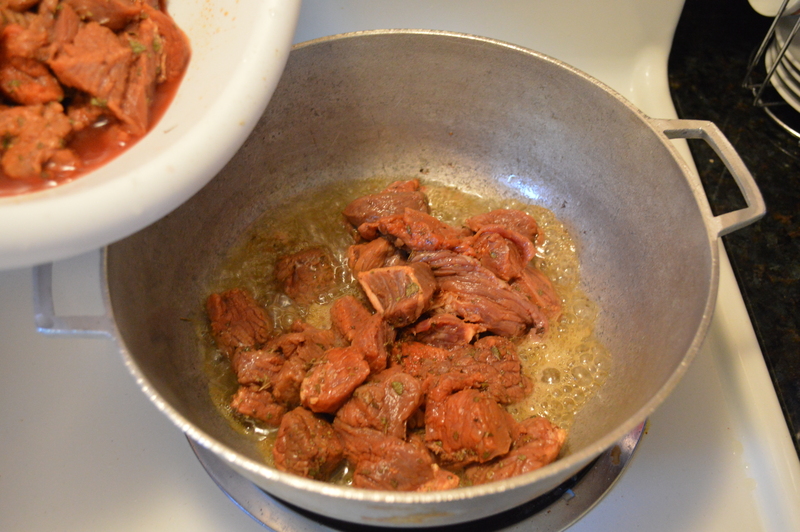 After you rinse the meat, add 1 1 /2 tablespoons of oregano, 1 1 /2 tablespoons of Adobo and 1 1/2 packets of culantro y achiote. Mix together and Set bowl aside. Set stove to high heat. 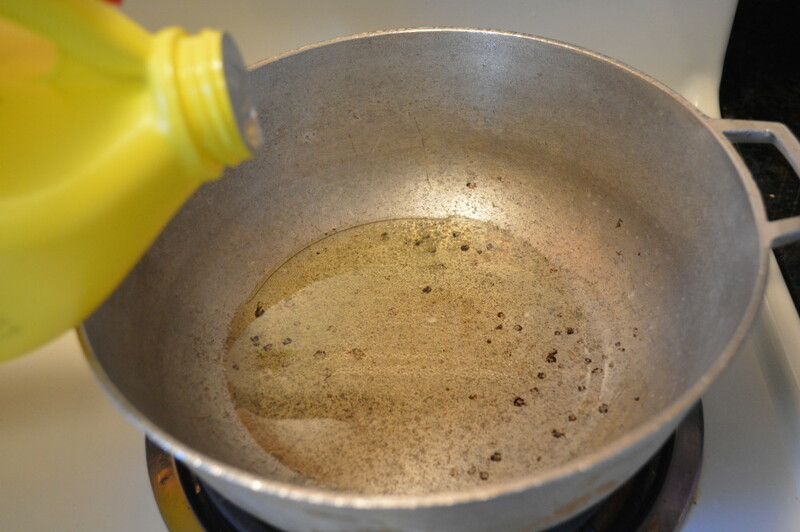 Add 3 table spoons of cooking oil to a pot. 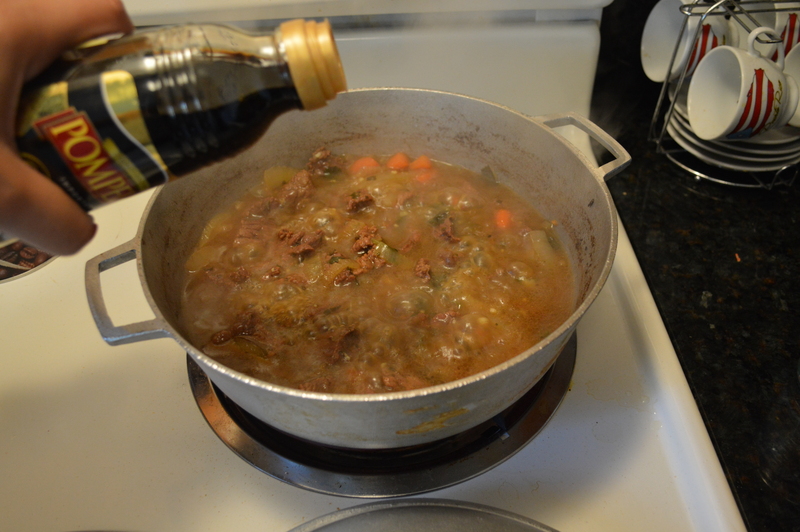 Once the oil is hot add the meat to the pot. 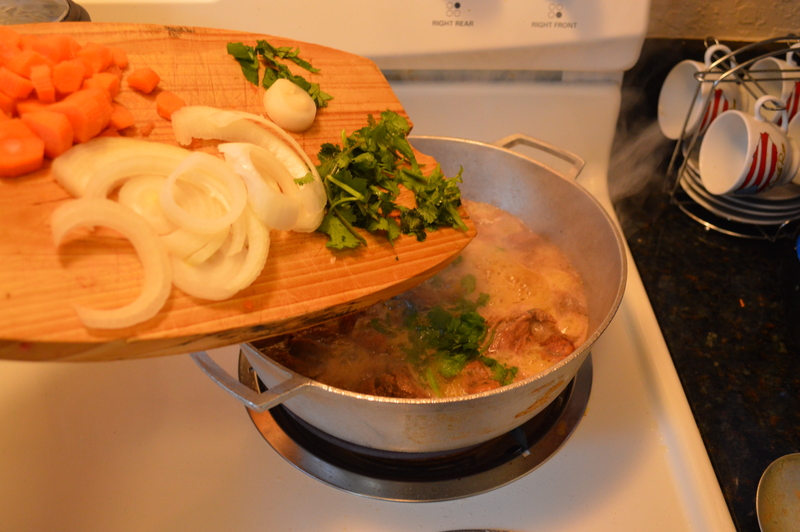 Stir the meat until the sides of the chicken are brown. Set stove to medium- high heat. 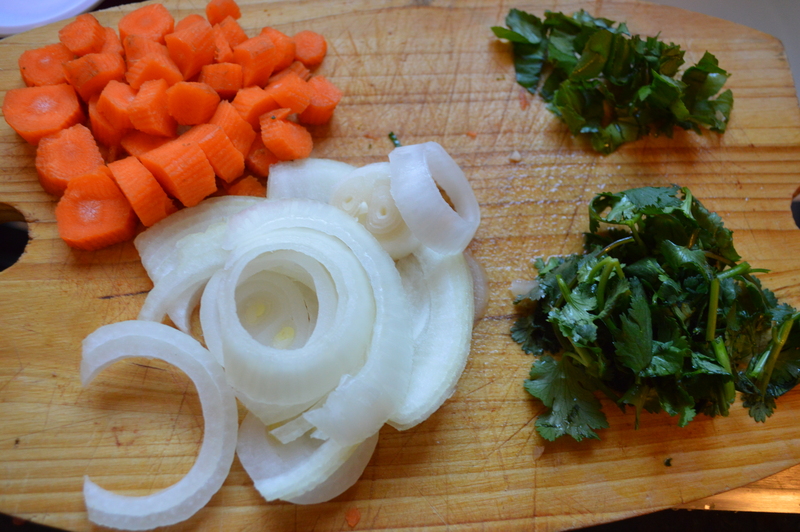 Then chop the carrots, Onions, Cilantro and Culantro. 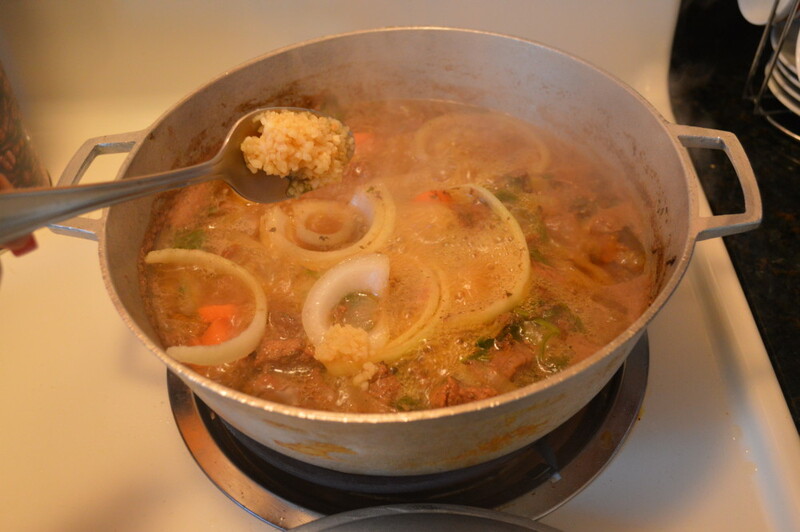 Now, add the carrots, onions, garlic, cilantro and culantro to the pot & stir. Once your done stirring everything together, add 3 cups of water. 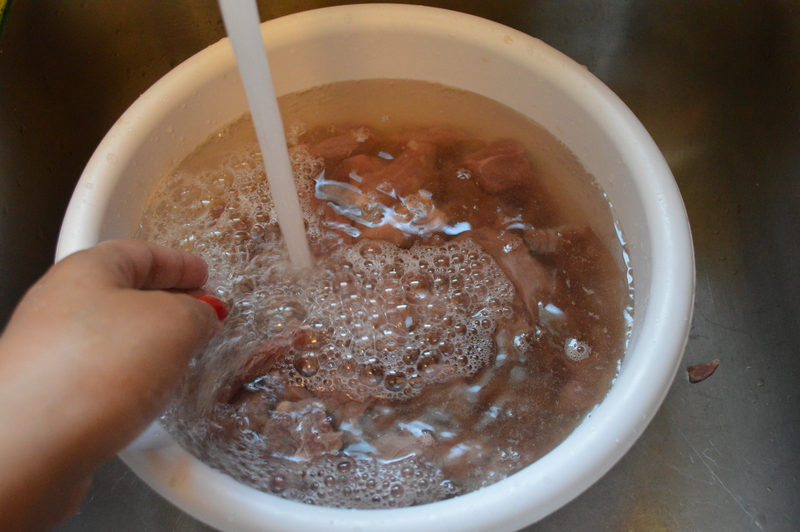 Try to have the meat submerged in the water. 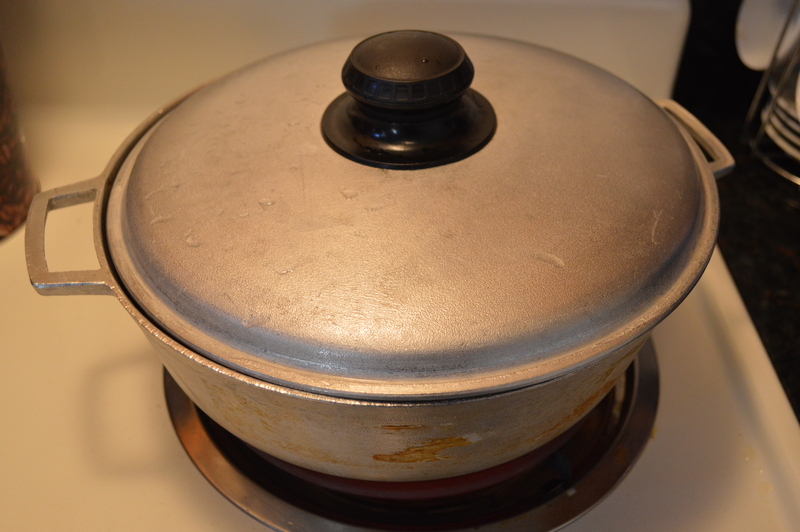 Cover the pot & let cook for about 45 minutes. Test the meat and check to make sure its soft. If it is soft, its ready for the rest of the ingredients. Set stove to medium heat. Now, add 1 can of tomato sauce and 1/2 cup of balsamic vinaigrette & stir. 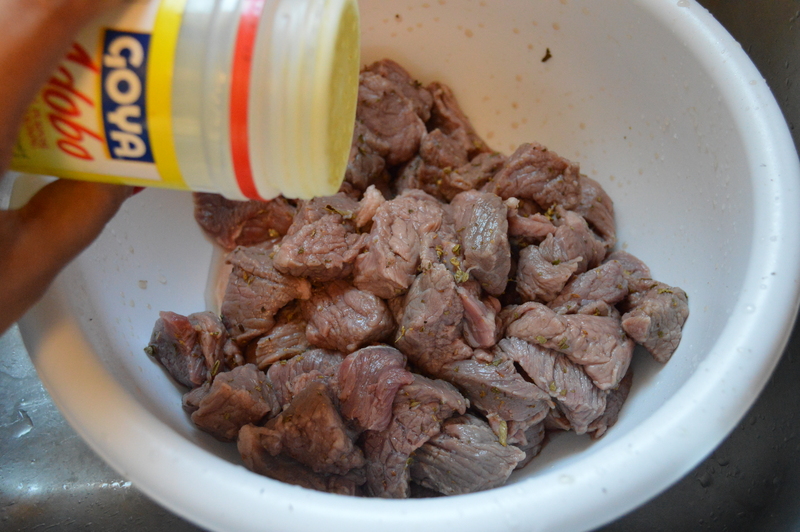 Let the meat marinate in these amazing ingredients for about 10 to 15 minutes. It should look like this. 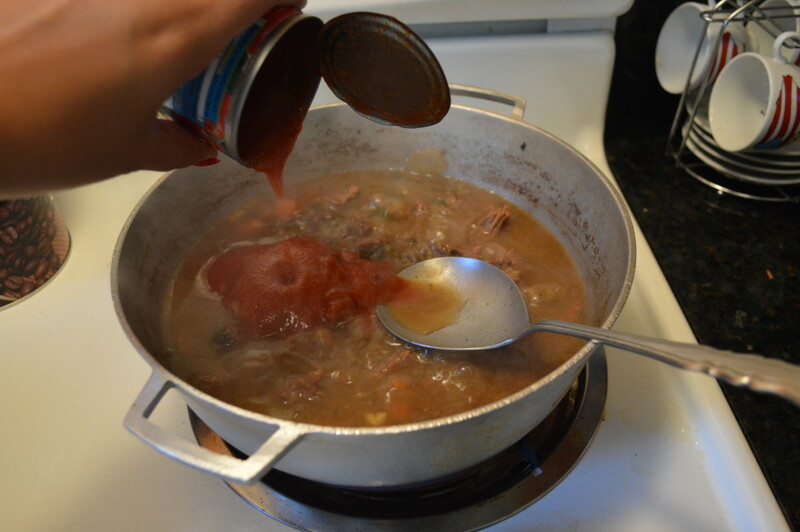 I can’t believe the holidays are coming, but I’m happy for chillier weather so I can enjoy stews even more! This looks so juicy and flavorful! Right!? Its so crazy! But i’m right there with you on the chillier weather! Wow – this looks phenomenal! Comfort food at its best! This looks like a really good cold-weather dinner option. I can just imagine eating this under a blanket. So comforting and delicious! lol I just imagined myself doing the same thing! Cant wait for the chill weather here in Miami! Looks gorgeous! Love the step by step pictures! Pinned! Thank you! 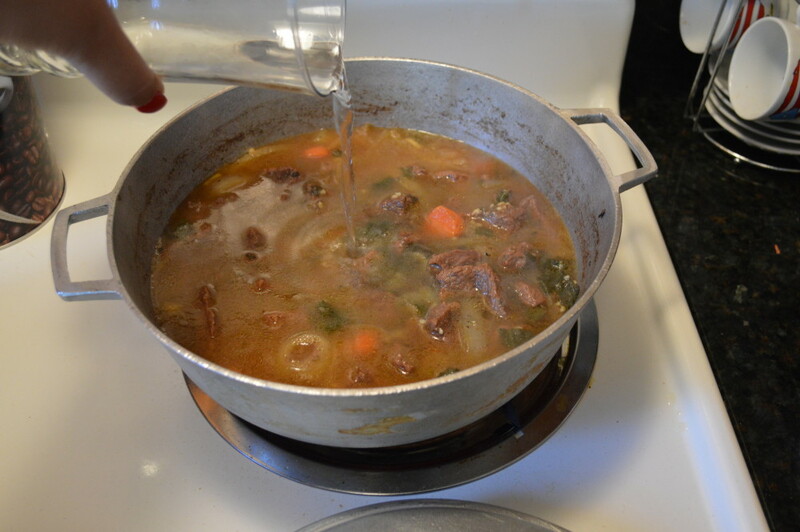 Save this recipe because those cold days will be here any minute! 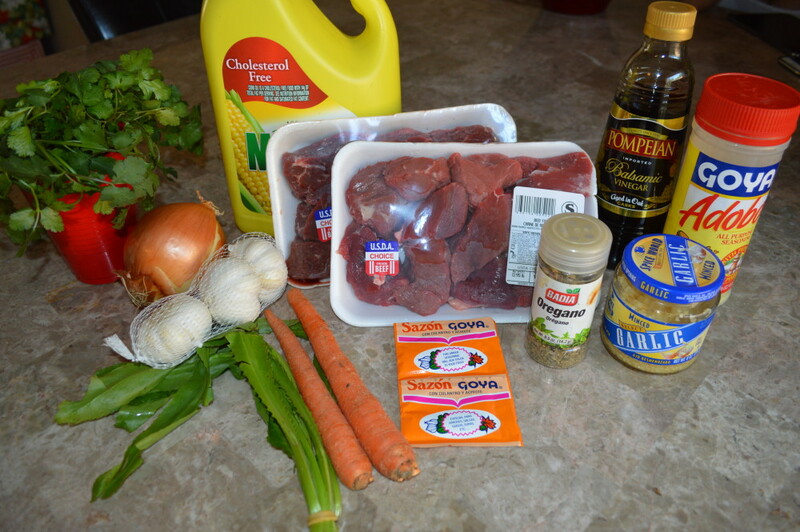 This looks like the best beef stew recipe ever. I love myself some spice, and the spices you have going on here are fantastic! This looks incredibly heart and satisfying! We are totally ready for Christmas decorations too! We might even get out the tree this weekend! This dish was so good and so easy to make. Thank you for posting! I can’t wait for more ! Laughter + Food = Love. I watch the same movies about 100 times. Christmas Fanatic. Sweet and salty is the best combination. Cows are everything.